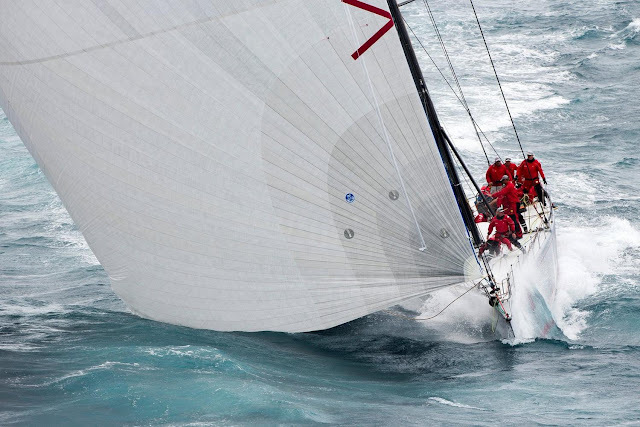 One of the many early retirements of the 2015 Rolex Sydney-Hobart was race favorite Wild Oats XI, who was vying for her nine consecutive line honors win. With 31 retirements so far, this year’s installment of the prestigious annual regatta is regarded as the toughest since 2004 when 50% of the fleet was forced to retire. "When the front hit last night we were well prepared. Unfortunately in the process of reefing the mainsail we made some errors which caused us to break a couple of battens, damaging the mainsail beyond what was repairable onboard." "That mainsail is unbelievably strong. The only reason it broke was when a batten finally broke and tore through the material. It seemed like it flogged in 40 knots for a half hour and I can't believe it lasted as long as it did. Certainly not the mainsail’s fault". The crew plans to have the sail repaired at the North Sails loft in Sydney, Australia and begin preparations for some sailing in late January. All communication indicates they will be back again next year as strong as ever. A statement on behalf of the WOXI team sent hearty congratulations to the crew on super maxi Comanche, their race rival, for pressing on to achieve line honors. 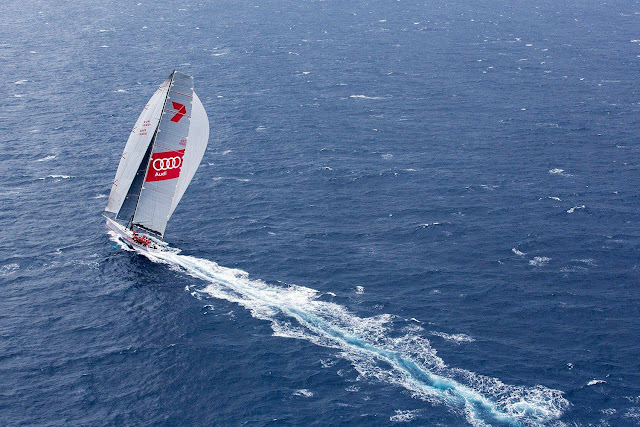 As for all of us, our bets are on a 2016 rematch next December, we only need to get Comanche back down under!